$17.95 Seen a lower price? 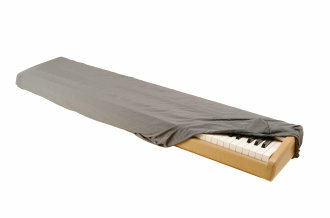 The On-Stage KDA7088G keyboard dust cover is made from dust free spandex material stretches to fit 88-key. Other features included a built-in bag and a locking clasp. Same design as KDA7061B, but stretches to fit 88-key keyboards.